This week it’s the turn of Adrian Mills, General Manager of BBC North. With The Great British Bake Off leaving the BBC, Helen Titchener’s storyline on the Archers reaching its dramatic climax, and Elmo getting the surprise of his life when a dinosaur checks into the Furchester Hotel on CBeebies – it’s been an emotional week here at the Beeb. But I’ve pulled myself together to spot a handful of intriguing Prolific North stories over the last week. BBC One’s new Saturday prime time show Let It Shine is filming here at MediaCityUK. Celeb spotters will have a field day as Gary Barlow, Graham Norton, Mel Giedroyc, Martin Kemp, Danni Minogue and Amber Riley take to the stage. The series will seek out talent from across the UK and assemble a band to join the cast of a Take That stage show – let’s see some Northerners in that final line up! It was good to read about the “UOKM8?” male mental health campaign. 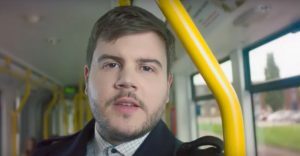 Manchester-based TheLADbible Group is aiming to engage its huge male audience to raise awareness of male mental health issues. Working with a range of partners, including the Samaritans, the Campaign Against Living Miserably (CALM), the Movember Foundation and the Mental Health Foundation, “OUKM8” will kick off with a series of documentaries called Everyday Heroes. A great initiative to support. In other news, Prolific North reported that Manchester is now the largest financial services hub outside of London. The UK attracted the second highest amount of FinTech (Financial and Technology sector) funding in 2015 - just behind the US and China in terms of volume invested. In Manchester, that’s led to strong growth, particularly for start-ups. Ensuring this region has a strong economy has been a top priority for Northern Powerhouse Sir Howard Bernstein throughout his long career in local government. It was announced this week that he’ll leave his post as Chief Executive of Manchester City Council in 2017. Sir Howard has been a visionary and champion for our region and will be much missed. He’s also been a good friend to the media, creative and digital industries in the North. We wish him well with whatever he does next.